Serbia (Srbija) is still on the verge of turning into a zone of comfort for the tourists, of getting rid of Slobodan Milosevic and to turn into a democracy. The nation of Serbia now is calling on the verge of Europe, and meanwhile Serbia is a safe and cozy place to visit. The most interesting tourist point of Serbia is, undoubtedly, its capital, Belgrade, a brave, energetic city where the fans of the culture will be able to take delight with the architecture and museums of Serbia, its restaurants gourmets, whereas the youngest will be able to explore an incessant night life of Serbia. Also in Serbia the plains of Vojvodina and the calm monasteries Fruska Gora provides an effective antidote for the urban chaos, whereas Novi Sad is the headquarters of the festival of Music of exit that is of world renown. In the south of Serbia they are proud of its country and they are very traditional, have a land of exuberant hills and wooded valleys splashed with steep mountains. The medieval monasteries of Manasija, Sopocani Studenica continue being the guardians of the Serbian faith and the Byzantine art, whereas Zlatibor Kopaonik’s mountains provide the amusement of snow in winter and the glorious hiking in summer. The mosques of Serbia are mixed by monasteries in Novi Pazar, where the life in the Turkish neighborhood continues as it was one century ago when the Turks were still in the power. Few kilometres away we can find in the south Kosovo, a land in dispute and divided by the different interpretations of the history. For the Serbian it is the cradle of its nation and for the Albanians of Kosovo it is its future independence. The UNO continues recognizing Kosovo as part of Serbia until the current conversations should decide its future. Tags: Serbia introduction. Serbia Overview. Serbia general information. 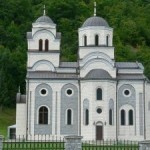 Serbia travel information. Serbia and its cities. Serbia in europe. Balkans countries. Travel to Serbia. Visit Serbia. Serbia war. War of Serbia.